Over the years, the Bailiff Company has helped commercial property owners to reclaim their property from their tenants. If the commercial tenant is more than 21 days in arrears with their rent, our certificated enforcement agents can forfeit the commercial lease. For professional commercial lease forfeiture, get in touch today. 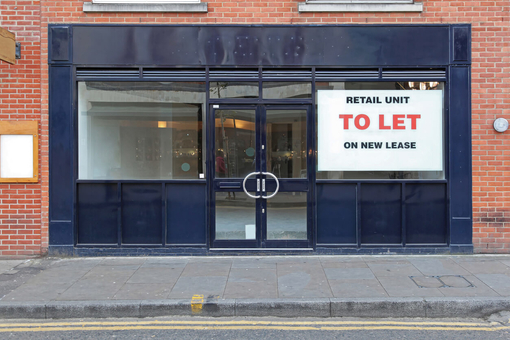 Are you a commercial landlord with tenants who are more than 21 days behind their rent? If so, our experienced team are here to help you. Our bailiffs can help you to regain control over your commercial property. If you need to reclaim your commercial property from a tenant in arrears, there’s no need to pay for a solicitor or obtain a Court Order. Additionally, when carrying out a commercial lease forfeiture, you do not have to give the tenant any notice of your action. Our certificated enforcement agents will undertake all our commercial forfeiture of lease work within the law. Our bailiffs work under the Law of Property Act and the Common Law, allowing us to enter and reclaim your property. The alternative to this forfeiture is that we can help you via commercial rent arrears collections services (CRAR). How Does the Commercial Lease Forfeiture Work? In order to legally forfeit on your tenant’s commercial rent arrears, your tenant needs to be 21 days or more in arrears. You don’t need to attempt to evict them from the property yourself, or even inform them that you are forfeiting on their lease. One of the reasons that commercial lease forfeiture services is popular amongst landlords is that they require very little, and sometimes no, confrontation. Once you alert our bailiffs and request our services, we will arrange the best date for the commercial lease forfeiture to occur. One of our certificated enforcement agents will attend the premises out of hours. This normally happens late at night, early in the morning or when the commercial property isn’t in use. Our bailiff will attend your property with a professional locksmith. That way, we can gain peaceful entry to your commercial property and change the locks. This will prevent the tenant from re-accessing the office or retail outlet. Once the locks have been changed, the lease is officially forfeited. Will the Tenant Be Able to Access the Property and Retrieve Their Belongings? Once the lease has been forfeited, we will post all the appropriate notices regarding the forfeit on the property. This includes information regarding the Torts Interference with Goods Act. The Torts Interference with Goods Act (TIGA) covers any property which the tenant has left on the forfeited property. That means they will only be able to access the property on permission from yourself and our bailiffs. At the Bailiff Company, we offer a complete service to our commercial clients, and will deal with all enquiries and confrontations with the former tenant ourselves. We can allow them to access the property (at their cost) to remove personal items. How Can I Start the Commercial Lease Forfeiture Process? If you want to forfeit a commercial lease after your tenant has fallen into arrears, get in touch with the Bailiff Company today. All you need to do is complete an online Warrant to Forfeit and submit it to our experienced team. From there, we will send a confirmation of receipt email by return. Our experienced team can help you to reclaim your commercial property from tenants in arrears. For more information on our complete range of forfeiture services, get in touch with our team today. You can reach our experts directly on 0113 418 2817 or by using our simple online contact form. Once you’ve completed the online Warrant to Forfeit, simply send it to enforcement@bailiffcompany.co.uk, and we’ll arrange a suitable date for attendance.